Artist Robert Viña from Edinburg stands next to one of the artworks that is connected with a series called Paisley Garden during the 5th Annual Artrageous Art Show on Friday at Edinburg Conference Center at Renaissance. 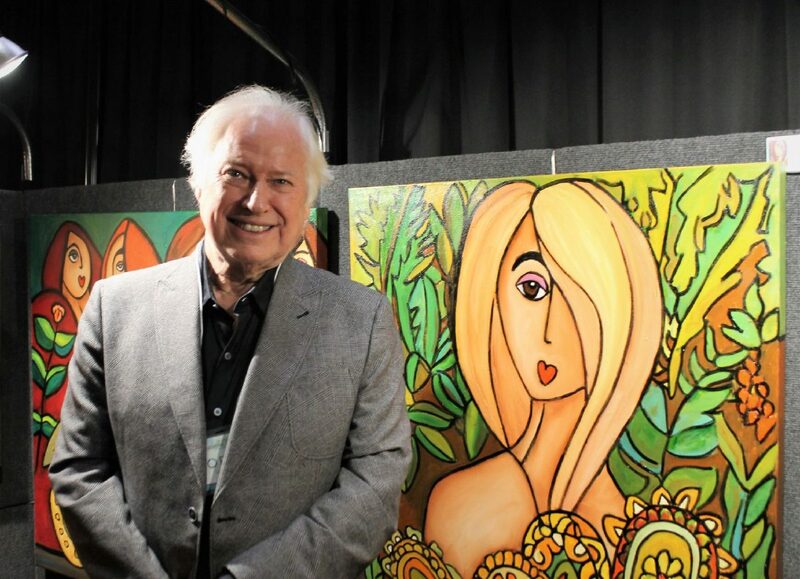 EDINBURG — Exploring the wonders of imagination through various forms of fine art is at the heart of the Fifth Annual Artrageous Art Show today at the Edinburg Conference Center at Renaissance. On Friday, the annual art exhibit opened its doors with a special showing and reception for advance ticket holders. The event will be free of charge and open to the public today. About 30 artists displayed their works, most from across the Rio Grande Valley, but others came from elsewhere in Texas and even Canada. Vivian Martin, chairwoman and organizer for the show and a board member of the Edinburg Arts Foundation, said the group exists to bring arts to the community. 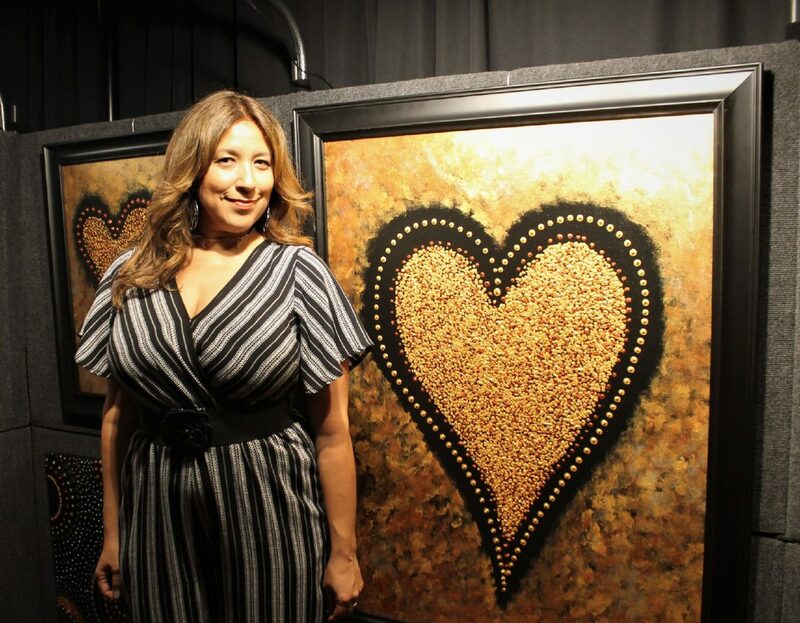 Artist Gilma Abramsky from Edinburg poses next to her pointillism abstract during the 5th Annual Artrageous Art Show on Friday at the Edinburg Conference Center at Renaissance. Artist Linda Calvert Jacobson from Wimberley, Texas, poses next to a work she created with wildflowers during the 5th Annual Artrageous Art Show on Friday at Edinburg Conference Center at Renaissance. The foundation uses funds from events like this to help fund the new South Texas Art and Cultural Center, which will be located at the former Sam Houston Elementary School in downtown Edinburg following extensive remodeling. Martin, an artist herself, was born and raised in Edinburg and said she always liked art since she was in elementary school, but during her career years, art was pushed aside and became a hobby. Now that she has retired, art has become her main focus. One of her paintings featured the Citrus Theater in downtown Edinburg and others included farm animals. 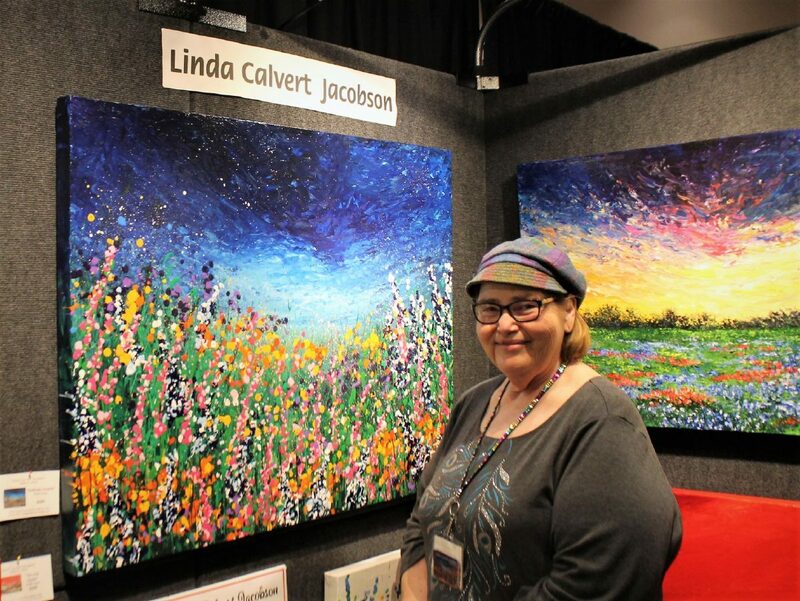 Another artist was Linda Calvert Jacobson from Wimberley, Texas, who also displayed her artworks and grabs her inspiration from landscapes when she travels throughout the state. Jacobson’s pieces included wildflowers, which is a series she began almost 15 years ago and contains minor changes as time moves forward. “I’ve been an artist all my life, ever since I got a crayon in my hand, I started drawing on the walls and my parents were very supportive,” she said. Artrageous is sponsored by the city of Edinburg and the nonprofit Edinburg Arts Foundation which was formed in 2012 to support community arts events, such as Los Muertos Bailan festival in October and the Frida Fest in July.